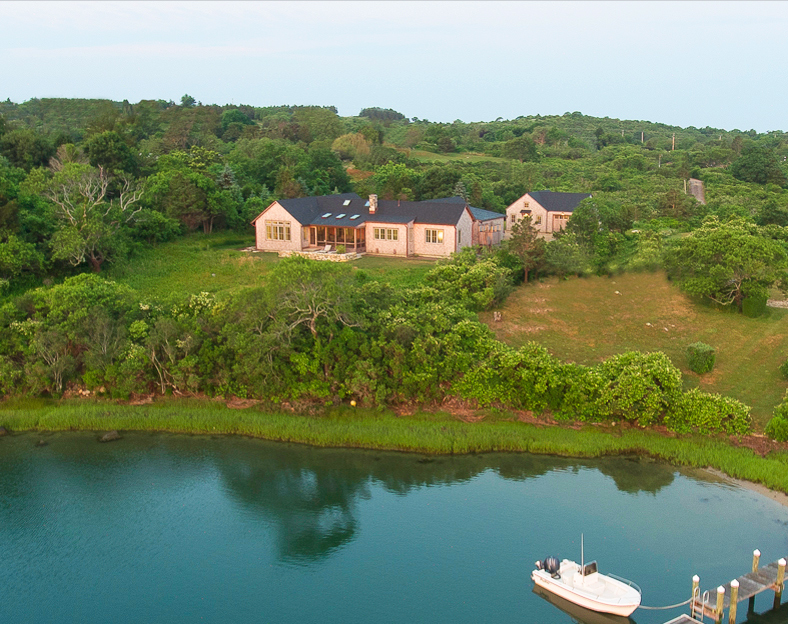 Comfortably perched on this wooded bluff, this house opens to a spectacular waterfront. 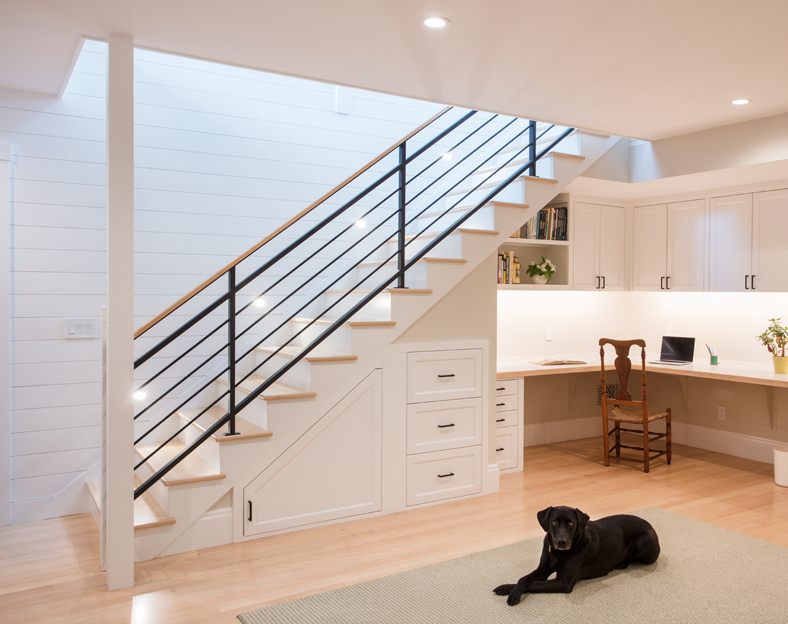 A sunken garden and open stairwell bring ample daylight to the lower level spaces while maintaining the character of a one-story home. 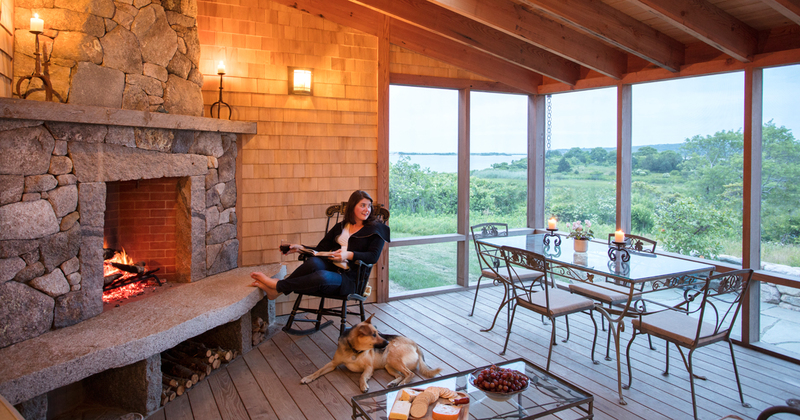 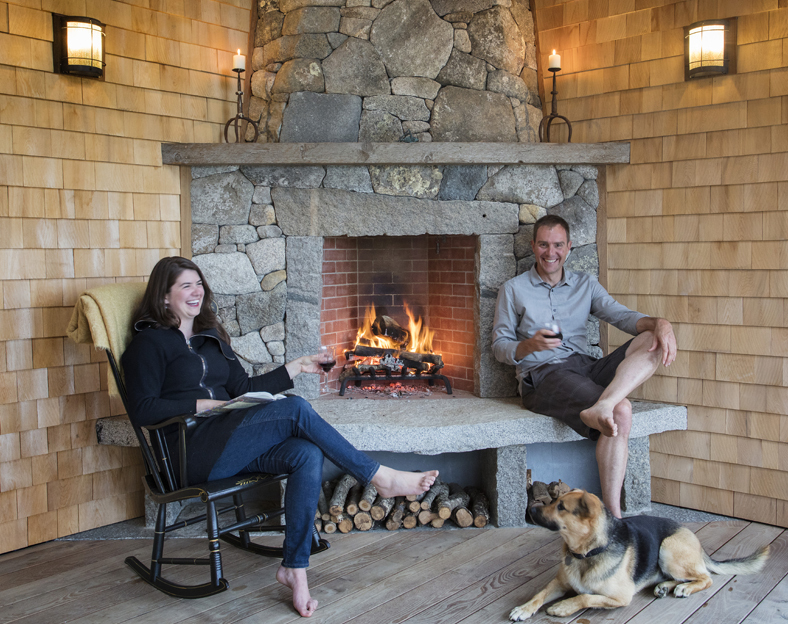 Local artisans brought their precision and skill to the custom stair and fireplace. 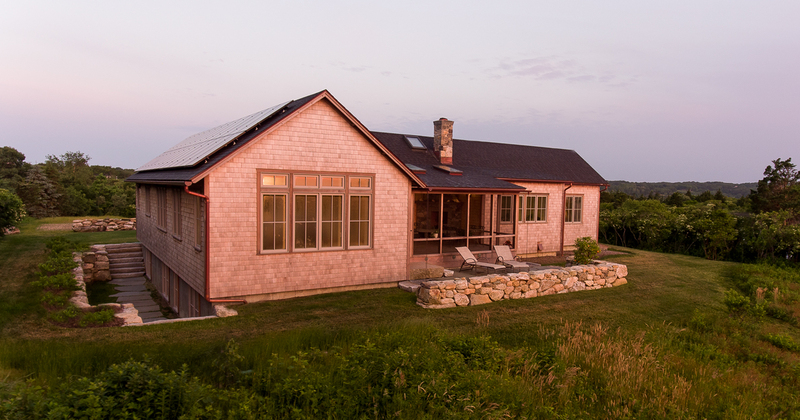 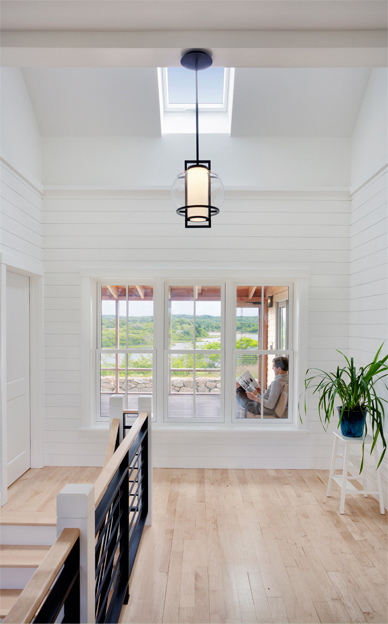 Solar electric on the house and barn roofs make this high performance home a net-energy producer.